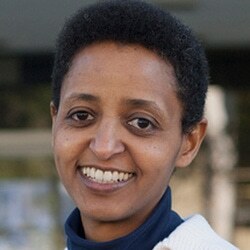 Researchers led by Northwestern Engineering professor and fuel cell pioneer Sossina Haile have developed a new fuel cell offering both excellent power densities and long-term stability at optimal temperatures, a discovery that intensifies the viability of integrating fuel cells into a sustainable energy future. The research, titled “Exceptional power density and stability at intermediate temperatures in protonic ceramic fuel cells,” was published on February 12 in the Nature Energy journal. Sihyuk Choi, a postdoctoral fellow in Haile’s laboratory, served as the first author of the paper. Though latest research had shown the potential of some protonic ceramic fuel cells to offer environmentally sustainable and economical electric power generation, those cells’ high electrolyte conductivities failed to create expected power outputs. While it was known that some electrolytes have high conductivity at 500-degrees Celsius, somehow the electrodes were not working well in the complete fuel cell. The Haile-led team overcame this stubborn challenge by joining a high-activity cathode - the double-perovskite cathode PBSCF - with a new composition of matter, a chemically stable electrolyte labeled BZCYYb4411, to create excellent power density and stability in the extremely prized intermediate temperature regime. This new electrolyte allowed ions to travel quickly and, unlike many earlier electrolytes, stayed stable even when worked for numerous hours. We solved multiple problems simultaneously by changing out the electrode, improving the electrolyte and creating good contact and communication between the two materials. After years of scientists pursuing high-power operation at 500 °C — “a commercialization sweet spot,” Haile called it — the researchers’ finding presents a noteworthy step toward lesser fuel cell costs and more sustainable energy. High temperatures translate into greater efficiency, but also higher costs because of the necessary auxiliary components. Here, we demonstrate a clear path for realizing the potential of fuel cells to generate clean electricity. The subsequent challenge, Haile said, is to create scalable manufacturing routes. Presently, obtaining the exceptional contact between electrode and electrolyte requires an expensive processing step. To strengthen commercialization efforts, Haile and her team have ideas on how to deal with this more economically. Haile’s team will also examine making the fuel cells reversible, which would transfer electricity back into hydrogen for storage on grid backup. “It’s exciting to think about where we are now and where we can go,” Haile said. The research funded partly by the US Department of Energy through the Advanced Research Projects Agency-Energy and by the National Science Foundation included members of Haile’s lab team at Northwestern as well as scientists from the University of Maryland and the California Institute of Technology. I think the holy grail is a material with stable mixed ionic conductivity at low temperature near room temperature. loss of ionic conductivity during operation due to mixed potential effect from Pt and carbon corrosion with simultaneous ORR.